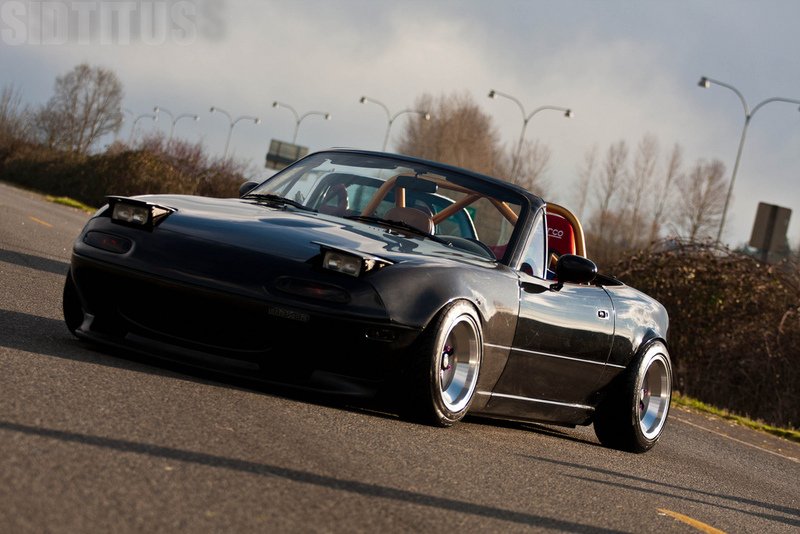 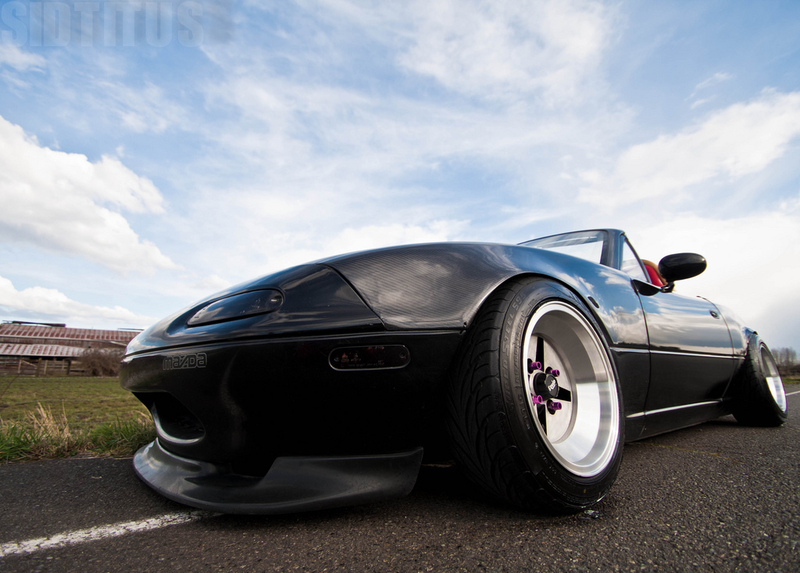 Yin Yang Roadsters – MoMoHitsTheSpot! 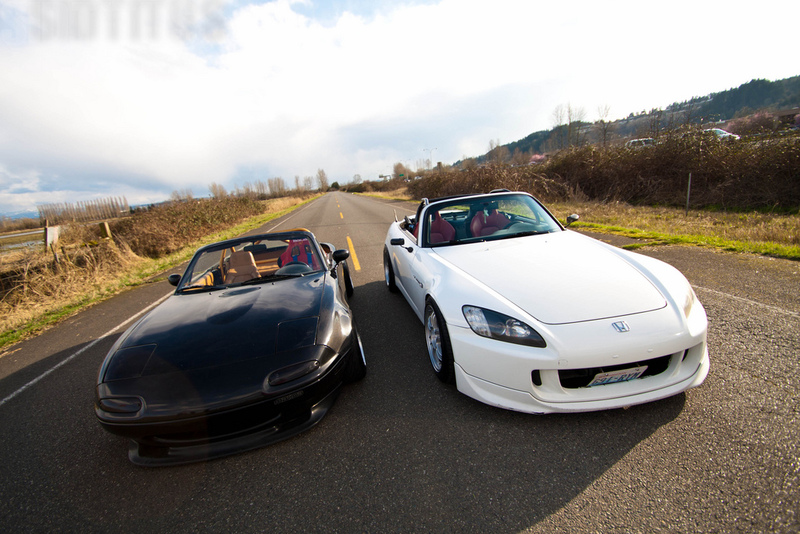 Here is a nice shoot of two of the most well built and agile roadsters to ever come out of Japan…The Mazda Miata, and Honda S2000. 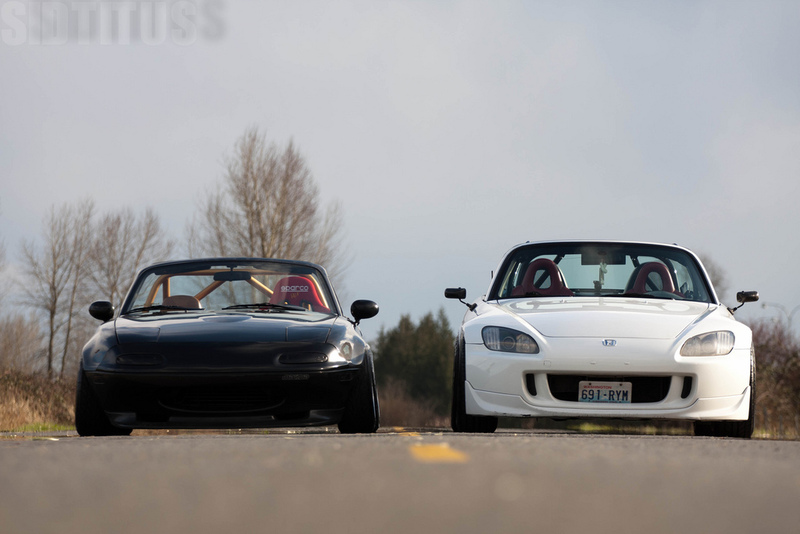 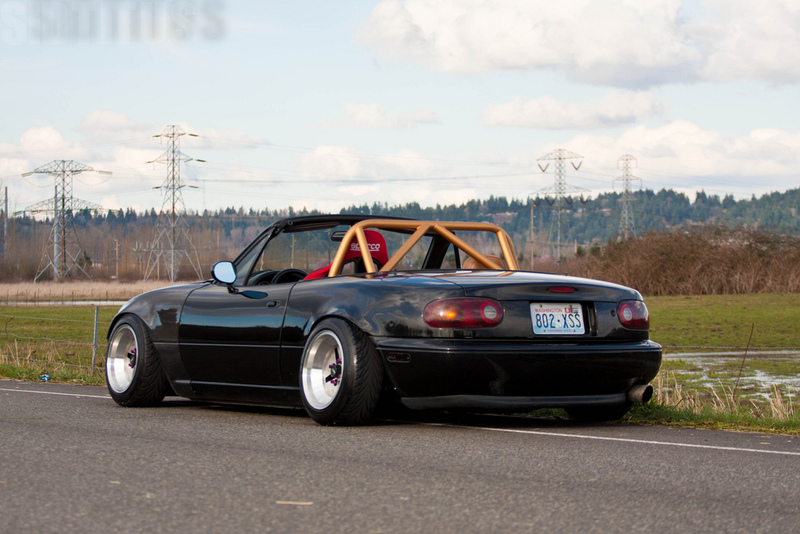 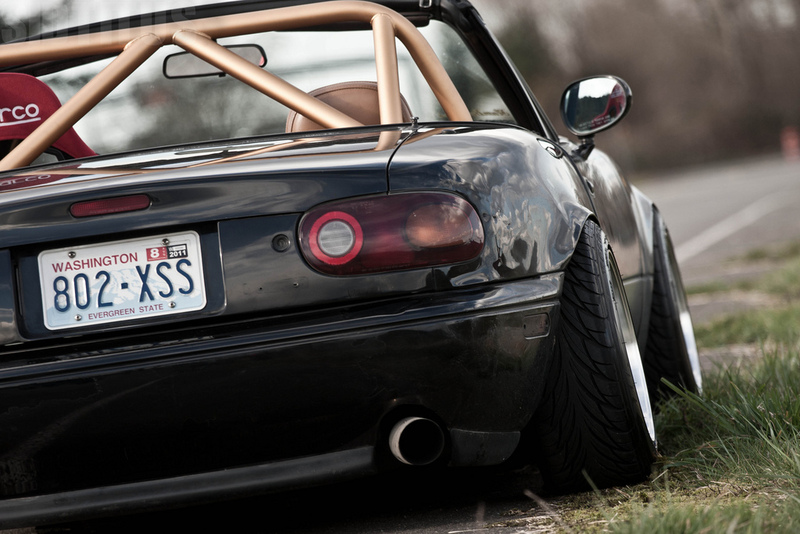 The Miata is wearing some super aggressive Work Equips, while the S2k keeps things a little more civil with a standard set of Enkei RPF1. 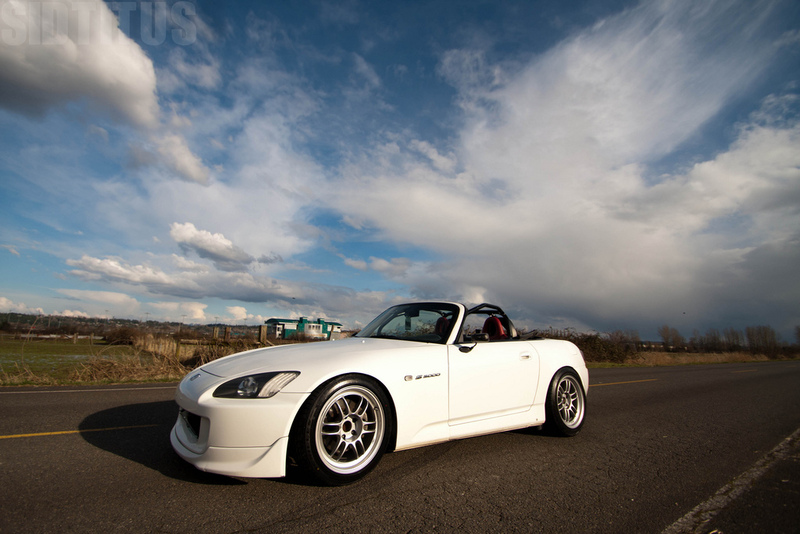 However, besides the difference in wheel setup/aggressiveness, both of these cars have quite a bit of similarity between each other, such as the use of a roll cage/roll bar, track oriented suspension setup and other miscellaneous exterior pieces.